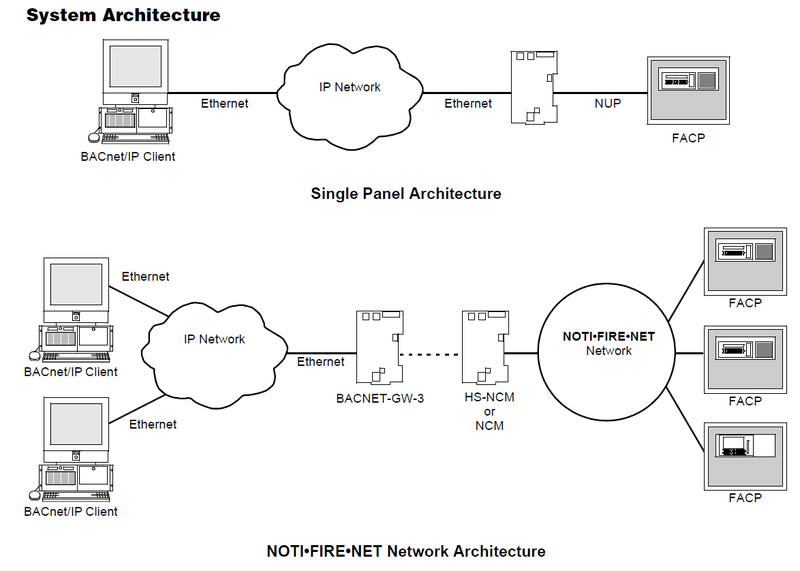 The BACnet Gateway provides an interface between NOTIFIER’s fire panel network NOTI-FIRE-NET (version 4.0 and higher) and a network using the BACnet/IP communication protocol. 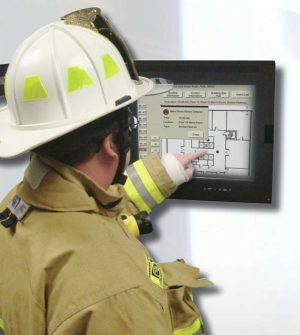 The BACnet Gateway provides an interface between NOTIFIER’s fire panel network NOTI-FIRE-NET (version 4.0 and higher) and a network using the BACnet/IP communication protocol. BACnet protocol is an American National Standard (ANSI/ASHRAE 135-1995). 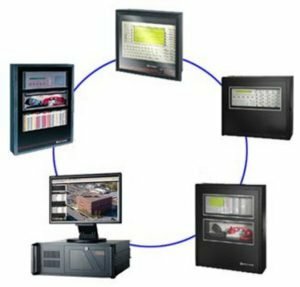 With the Gateway interface, devices on NFN fire alarm control panels are represented as BACnet objects to the BACnet client. The user subscribes to Event Notification objects per FACP, and the BACnet device receives events from objects on the FACP as a result of this subscription. The BACNET-GW-3 can be connected to a stand-alone ONYX panel (9th edition) with an available network port, or it can be connected to NOTI-FIRE-NET via the network port on any network control module. Connected to NOTI-FIRE-NET, each BACNET-GW-3 can support a maximum of 14 other nodes or 15,000 objects. 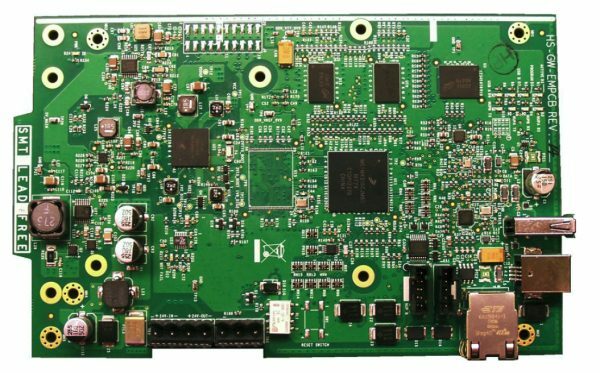 Multiple BACNET-GW-3s can be used to interface with larger networks.